Here’s a tool that has came in handy for me during the past 3 days, so let me share this one with you. 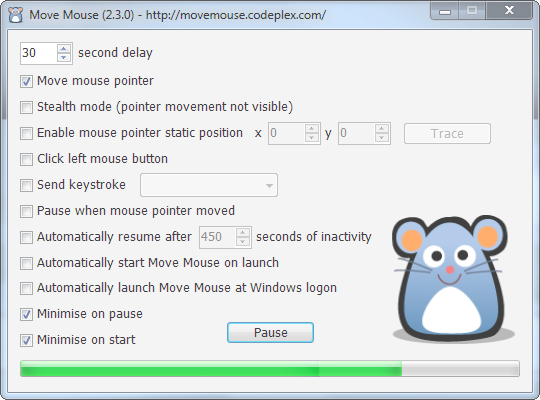 Move Mouse is a simple application that generates mouse activity. You can either move the mouse pointer, click the left mouse button, send a keystroke, or any combination of the three. For more details and download go to the Codeplex project page here.